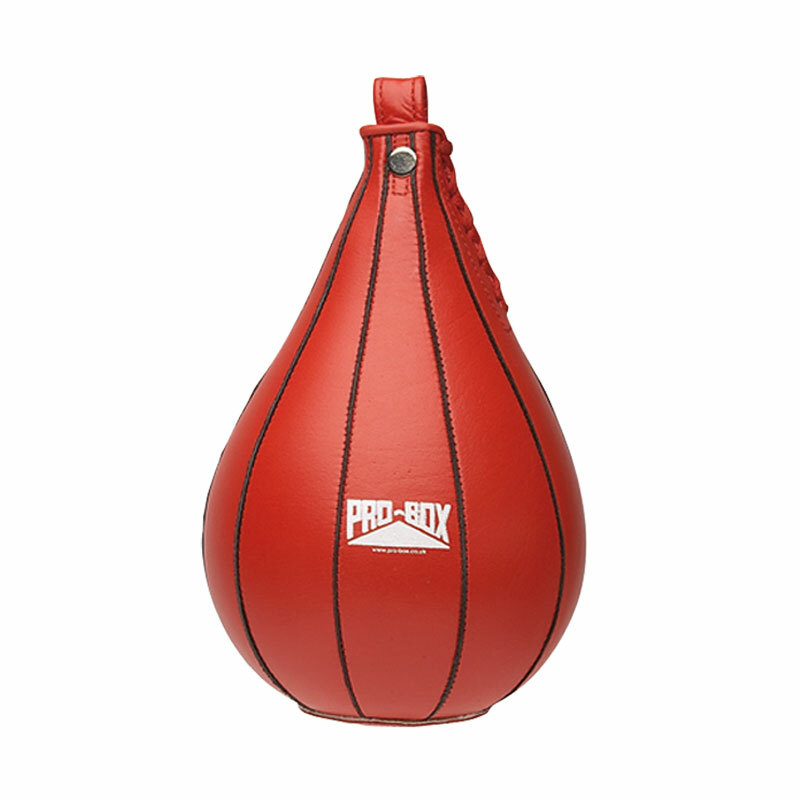 The Pro Box Red Ten Panel Speedball is a professional hand stitched leather speedball manufactured from ten separate panels to give the ultimate shape, response and performance. Hand stitched, 10 panel leather design. Design give the speedball the ultimate shape, response and performance. I have used cheaper versions of this pro box speed ball but they don't compare to this. Price may seem a bit high but it is a good quality product. good rebound action, especially when used with a shorter swivel.